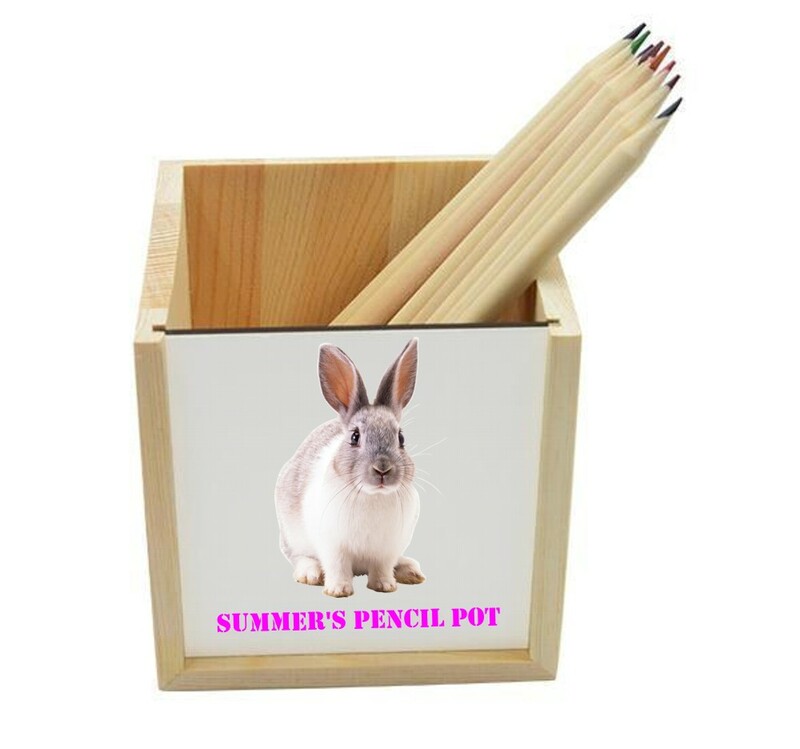 Personalised full colour panel Wooden Pencil Pot. Personalise the front panel of the pot with your image and/or text. The pencil pot measures 10cm x 10cm x 10cm. Please note that the pencil are NOT included and are for illustration purposes only. This is a great personalised gift which is ideal for a gift for many occasions including Birthdays, Christmas, Teacher gifts.....it's endless! If you choose to have text we have a selection of fonts for you to choose from.